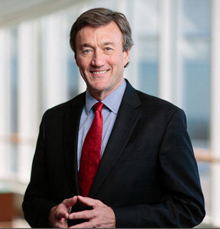 Dr. John Noseworthy, President and CEO at Mayo Clinic, appeared on Meet the Press with David Gregory alongside with Dr. Toby Cosgrove, CEO of Cleveland Clinic, this past Sunday to discuss the impact of the Affordable Care Act and the future of health care in America. The need to modernize the health care delivery system to drive quality at lower cost. Dealing with the sustainability of Medicare in the long term. Using available technology such as telemedicine to improve patient care and deliver knowledge. Funding research through the National Institutes of Health.